Chinese Premier Li Keqiang on Friday said that China would "cooperate and respect European standards" at the opening of the eighth annual summit on cooperation between Beijing and eastern European countries in Croatia. 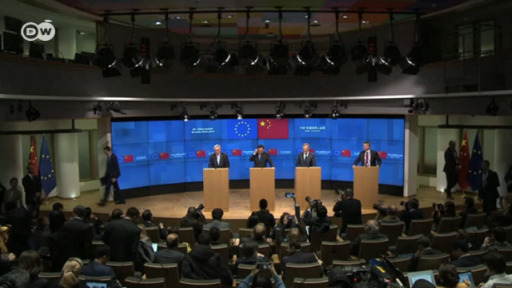 Before a breakthrough earlier this week, leading EU member states — including Germany and France — had expressed concerns that Beijing may attempt to divide the bloc with its separate summit focusing on relations with Europe's eastern states. "We welcome openness and we want to treat all companies that operate in China equally and to increase imports from the (European) countries," Li said, using an interpreter. "China is open to the world." For China, eastern European countries form a crucial part of its Belt and Road Initiative, which is commonly referred to as the new "Silk Road." But Li made clear that projects such as the Chinese-built Peljesac Bridge in Croatia could "inspire future cooperation," especially for central and eastern European countries hoping to lure investment home. "With Greece joining in with all the central and eastern European countries … we will deepen China's relationship with the EU," Li said. Meanwhile, the EU has also expressed concerns about Chinese involvement in the projects, especially after Italy signed on in a nonbinding "Silk Road" pact. Last month, EU Budget Commissioner Günther Oettinger expressed "concern that in Italy and other European countries, infrastructure of strategic importance like power networks, rapid rail lines or harbors are no longer in European but in Chinese hands." Quadriga - The New Silk Road: China’s Route to Europe? The new 'Silk Road': China's route to Europe? European Union Council President Donald Tusk has called it a breakthrough. The EU-China leaders summit in Brussels saw Beijing make concessions on key trade issues like market access and intellectual property.